Just how large is the global wood bioenergy market as we close in on 2020? Growth of the European bioenergy market represents the genesis of any real quantifiable demand over the last decade—demand that has been largely fueled by imported wood pellets from the US South. Over the last ten years, US wood pellet exports have increased from less than 200,000 tons in 2008 to over 5 million tons in 2017 as a response to this growing demand. US pellet exports have played a significant role in facilitating large-scale coal-to-biomass conversions and co-firing projects in the UK. We expect to see some more growth in European industrial markets over the next few years as new conversions come on line in the UK and co-firing resumes in the Netherlands. However, growth in that market will likely plateau within the next five years. The near-term opportunity for further development in industrial wood pellet exports lies with Asia. Though the environmental policies vary from country to country, the overall demand for bioenergy in Asia is creating mandates that encourage the construction of biomass renewable energy plants. With an ample supply of feedstock available on the global market, as well as existing supply chains to deliver these feedstocks, the risks associated with entering this space have decreased considerably over the last decade. However, some risks are inherent when embarking on any investment endeavor. The largest risks with earlier stages of project development, including the ability to raise the necessary capital and to demonstrate profitability over the long-term, is associated with identifying reliable, sustainable, affordable and bankable supplies of wood feedstock. Reducing the risks associated with feedstock procurement can help wood bioenergy companies meet these challenges. In general, sustainability and quality guarantees—as well as reliable deliveries—for wood pellets and fuel chips come at a price premium. Because of the various risks to supply and costs, Asian biopower producers must require their biomass suppliers to utilize strong procurement strategies that mitigate risk including supply chain risk assessments, cost analyses, sub-supplier diligence processes and contract negotiation strategies. In the current global market, the US South offers clear advantages for Asian biopower producers looking for a sustainable, quality resource via an existing supply chain and competitive cost structure. With over 100 wood-fiber pulping and pelletizing mills and over 200 solid-wood manufacturing facilities, US South forests are the most utilized and yet the most sustainable forests in the world. With reliable access to dense stands of conifer species, active timberland management and very little log price volatility, the regional timber market is mature and developed with prices for timber highly related to demand for lumber, panels, paper, containerboard and pellets. The region is a popular destination for wood products companies of all kinds based on two market dynamics: abundant access to timber and a private timberland ownership profile that fosters a competitive, free market. The US South land base consists of 437 million acres, of which approximately 37 percent is timberland. The total inventory of stemwood is 12.1 billion metric tons, which is almost evenly split between hardwood and pine. However, pine makes up 75 percent of total harvests (198 million metric tons per year), while hardwood makes up 25 percent (68 million metric tons per year). In total, only 2.2 percent of pine and hardwood inventory is harvested annually, assuring a sustainable supply. A majority of the timberland in the US South is owned by private landowners: (non-industrial private forest (NIPF) landowners, timber investment management organizations (TIMOs), and real estate investment trusts (REITs). Private landowners in the US South have similar goals in that they are concentrated on maximizing cash flow and value through intensive forest management practices and the sale of timber. Timber management is driven by the supply to high-value products such as saw logs for dimensional lumber, which bears much of the cost of land management. This assures that lower value timber like pulpwood is relatively low cost. Contrary to some opinions, increased demand for wood has not depleted southern forests. In 2017, Forest2Market conducted a landmark study where we examined the impact on inventory from increased demand on the US South forest for the 60+ year period from 1953-2015. The Forest2Market report determined that while timberland acreage in the region has been stable over the period, annual timber growth has outpaced annual removals by an average of 38 percent resulting a doubling of inventory in spite of an increase in demand. Inventory increased from 142.1 to 296.1 billion cubic feet over the time period. We found that contrary to assumptions, increased demand had driven increased inventory, not the opposite. Healthy commercial markets have driven active timber management resulting in increased inventory. While some have questioned the impact exporting pellet mills are having on forest inventory and wood fiber prices in the South, any claims that this impact is significant are misplaced. Forest2Market data indicates that these impacts are eclipsed by the effects of a range of other supply and demand factors in the region, including increased demand from pulp, paper and panel manufacturers and supply restrictions. At approximately 25 million tons per year, wood fiber removals for pellet demand represent roughly 7% of total harvests in the South. In 2017, removals of pine pulpwood for export pellet production represented only 17% of pine pulpwood removals compared to 120 million tons for non-pellet production (pulp, paper and OSB). 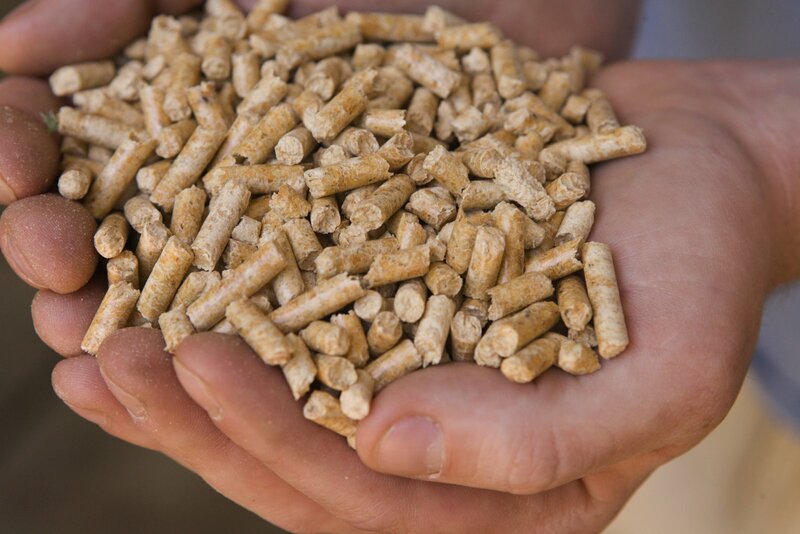 The competitive market and access to affordable pulpwood make the US South an ideal location for wood pellet production. Many other global markets simply do not have an established biomass supply chain infrastructure to serve a robust markets for pulpwood at significant scale.